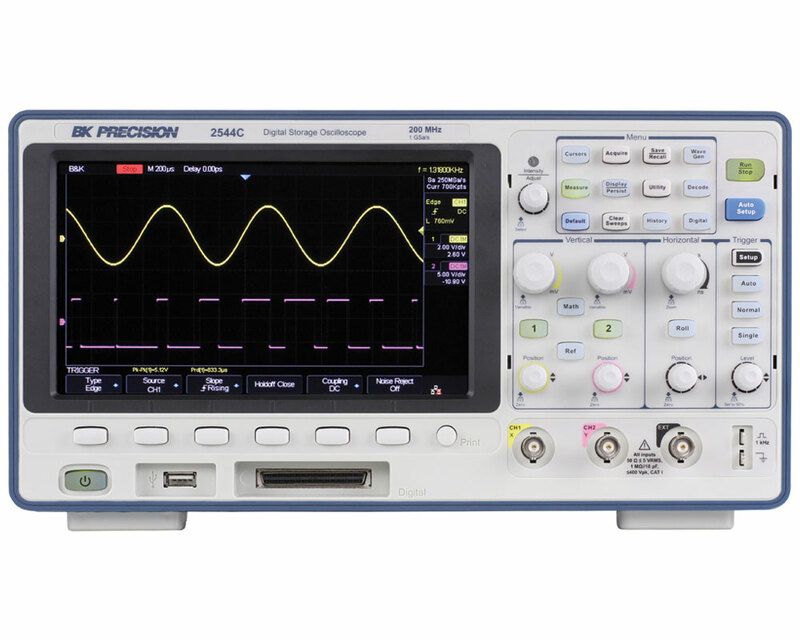 The 2540C Digital Storage and Mixed Signal Oscilloscope (MSO) Series delivers advanced features and debug capabilities for a wide range of applications at an entry-level price point. With up to 200 MHz bandwidth in a 2-channel configuration, each model offers a maximum sample rate of 1 GSa/s, and a maximum memory depth of 14 Mpts. 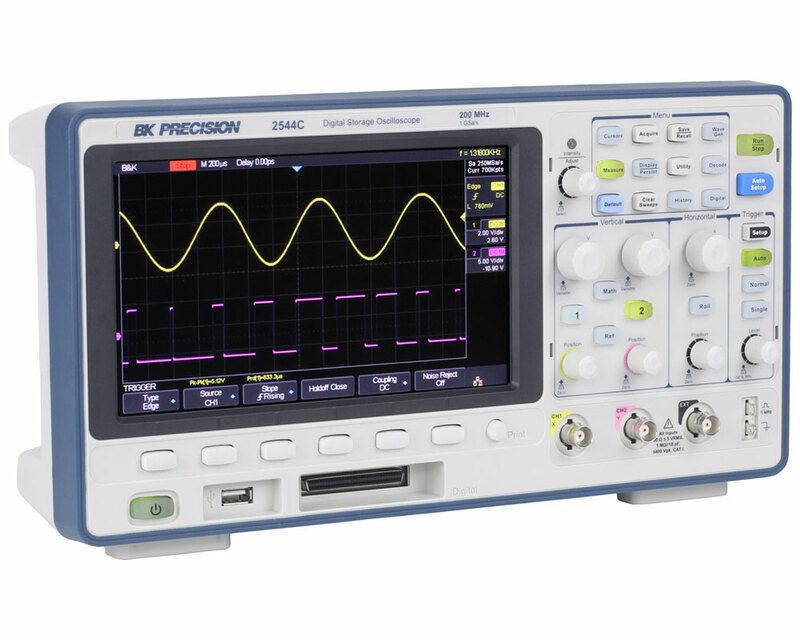 In addition, these oscilloscopes provide an 8” color display with 256 levels of color grading combined with a high waveform update rate up to 60,000 wfms/s, which allows the instruments to capture infrequent glitches with excellent signal fidelity. The MSO upgrade provides 16 additional digital channels and the Decode upgrade provides serial bus decoding for I2C, SPI, UART/RS232, CAN, and LIN protocols. These digital oscilloscopes are ideal for applications in design and debugging, service and repair, and education. To purchase an MSO or Decode license key, please fill out the license request form. 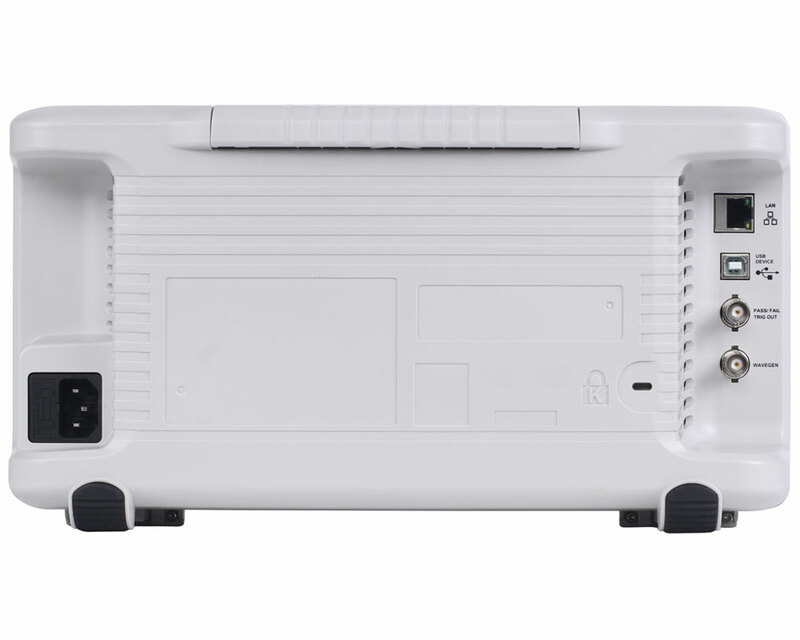 Enables the decoding features of the 2540C. Simultaneously decode up to 2 serial buses with I2C, SPI, UART/RS232, CAN, and LIN protocols. Signals can be decoded from both analog channels and the 16 digital channels if MSO option is enabled. Fill out the request form to acquire a DC2540C license key. The MSO software option enables the 16 digital channels on the 2540C, 2542C, and 2544C digital oscilloscopes. Measure TTL, CMOS, or custom logic levels along side analog channels. Fill out the request form to acquire a license for the MSO License Key. The logic probe provides access to the 16 digital channels when the Digital Software (LA2540C) is enabled on the 2540C Series. This accessory comes standard with all -MSO models. Fill out the request form to acquire a MSO logic probe.